Let's face the facts; women report dry eye symptoms more frequently than males in the same age group. 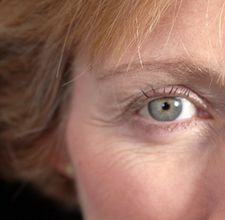 In a study by the American Journal of Ophthalmology, 7.8% of women over 50 report dry eye, versus only 4% of polled men. The theoretical culprit? As women go through menopause, androgen levels appear to drop, causing a range of side effects. In the ocular world, the result is a significant reduction in the production and secretion of tears. We need tears constantly to keep the eye lubricated; these baseline tears are necessary for clear vision and comfort. Reflex and emotional tearing are a different etiology, and are not the type of tearing we are discussing. Menopause isn't the only time imbalanced hormones wreck havoc on the eye in women; we can also see significant dryness and vision changes during pregnancy! If artificial tears and gel drops aren't offering enough relief, there are some more aggressive options to try. When I prescribe tears for this population, sometimes an artificial tear with supplemental natural tear components like growth factors can be more beneficial than the standard OTC brands. Viva drops are my favorite tear drop when I am trying to supplement missing components of natural tears. In this patient population I also really like Restasis. It tends to perform well in post-menopausal women, and I know some doctors that prescribe it strictly for this population. 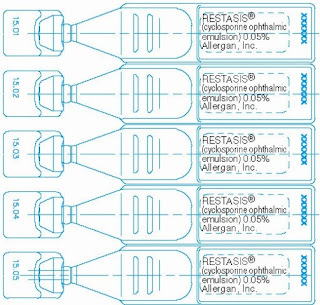 Restasis increases tear production by reducing inflammatory mediators that cause poor tear film performance. 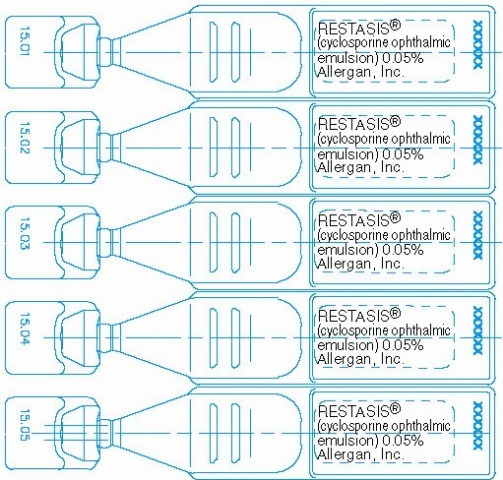 Remember, Restasis is a twice a day; every day drop, and sometimes it can take as long as 3-6 months to get relief. Sometimes when initiating Restasis it is a good idea to pulse with a stronger anti-inflammatory like Lotemax until Restasis has time to get into the system. Patients are less likely to give up if they see some relief! A less common treatment involves direct hormone supplementation. In this 2003 study, Dr. Connor of SCO fame offers testosterone cream as an effective option. He recommends applying 3% Testosterone Cream twice daily to the eyelids. No insertion into the eye itself is necessary. Interestingly, estrogen supplementation is not found to be effective. The extra testosterone helps to counteract the androgen deficit found post-menopause. After just two weeks of treatment, he reported 50% of patients had improved signs and symptoms. I haven't prescribed this myself, but in the future if a patient is willing to try, I might have some case studies to report of my own.